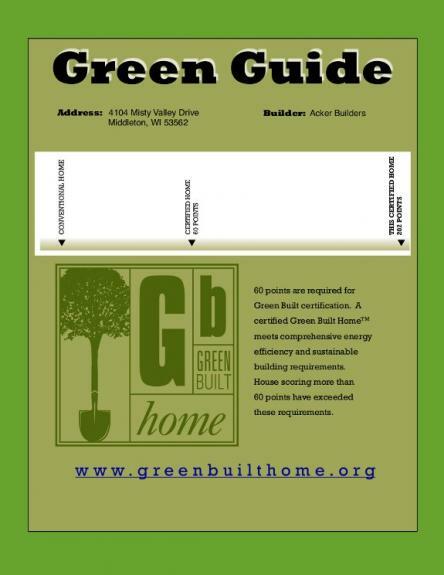 Today we received our official certificate from the Green Built Home program! Check out the upper right corner of the middletongreenhome.com main page, and you can see our real-time solar array generation stats! The folks at H&H solar installed our "Fronius Interface Card Easy" on Monday, which allows real-time querying of the inverter via serial connection. 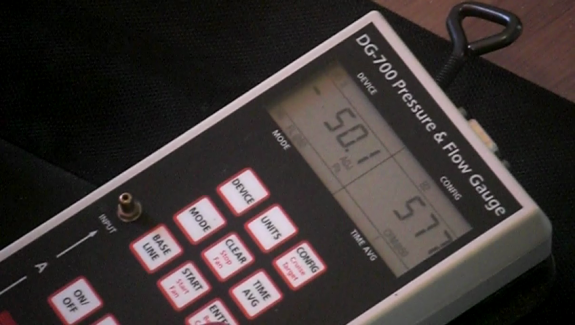 We have a home computer polling the interface for its current power output every 3 seconds, and uploading this data to the website. The day's generation is then calculated from the statistics gathered. Today, the connection of our solar system to the utility grid was completed. Madison Gas & Electric installed the second electrical meter and the system is good to go. The total capacity of our system is 2.7 KW. The inverter is installed in our basement. The inverter converts direct current (DC) from the solar panels into alternating current (AC) for the power grid. You can see from the side-by-side picture of the inverter next to the breaker box that the inverter is a rather large piece of equipment. And this is one of the smaller inverters available. Here is the picture of the completed installation. Bathroom fans all passed (60-80 CFM for fans in powder room and toilet room and hallway bath, and an amazing 120+ CFM for the fan above the master shower). Blower door test passed -- we needed 1888 CFM or less for Energy Star qualification. Our result was about 600 CFM! Thermal scans with infared camera showed no areas of concern. Obviously we're thrilled ... this was a great cooperative effort between Laura and the Ackers to help us achieve incredible results without busting the budget.